Google’s self-driving car may be able to navigate the roads on its own, but it’s not yet advanced enough to avoid cops. 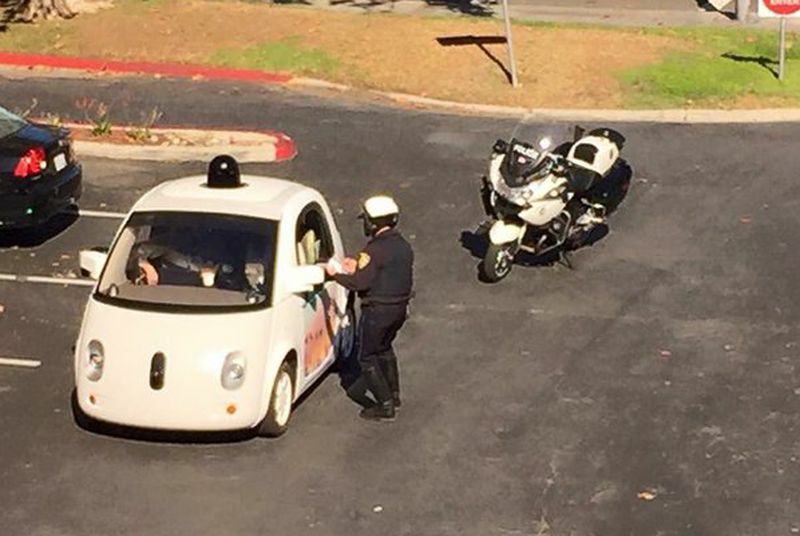 This picture, showing Google’s cute little prototype vehicle stopped by an officer of the law, was tweeted earlier today by David E. Weekly, the head of Google’s rapid rollout lab. The company soon took to Google+ to explain the image, suggesting that the car had been pulled over for driving too slowly.